Rubbish Dialogue is a new twitter project facilitated by the Museum of Contemporary Rubbish Research Department. Rubbish Dialogue examines the relationship between rubbish and language through ‘talking rubbish’ on social media platform Twitter. Anyone can participate by tweeting @rubbishdialogue with rubbish content – original or recycled/appropriated. 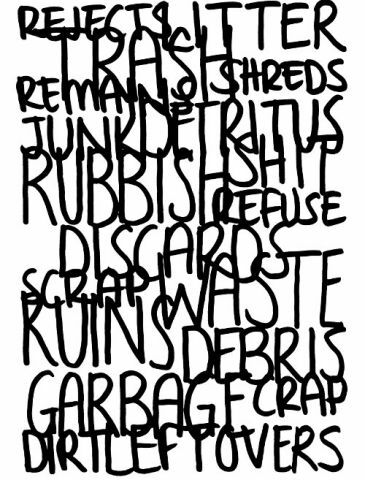 Rubbish Dialogue features as part of Hannah Directory 2015 and selected highlights will be submitted to the special Techno Trash issue of Wi: Journal of Mobile Media for publication in 2016.